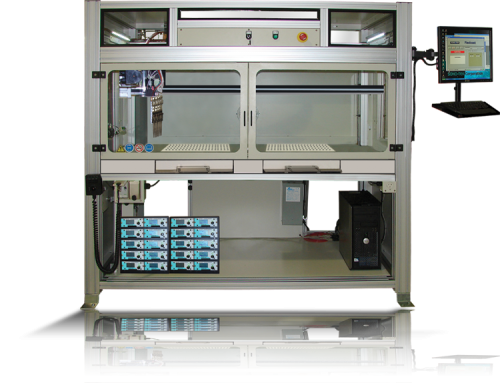 Full standalone high-volume production system specially designed for applying blood collection tube coatings such as EDTA, Heparin and clotting agents. 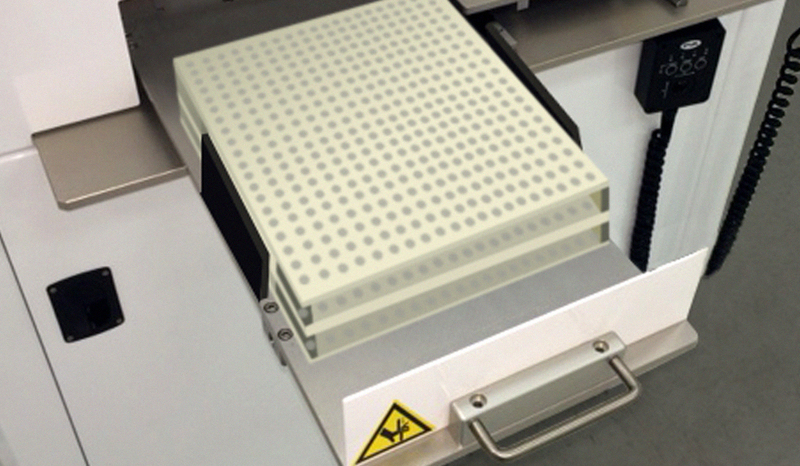 The XYZ motion platform can be configured as a 10-up or 20-up system for user desired output. 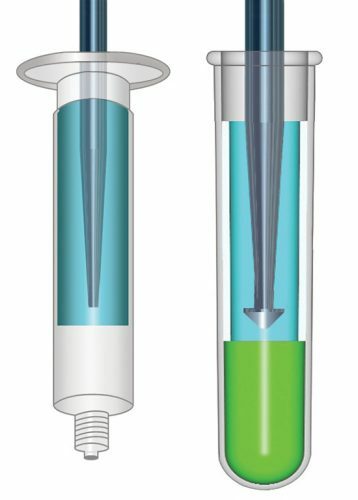 Sono-Tek ultrasonic atomizing nozzles have long been considered the premier Blood Collection Tube (BCT) and Syringe Barrel coating technology. The new MedXT series of Blood Collection Tube coating nozzles surpasses the performance of older designs, allowing tube equipment manufacturers to integrate the benefits of next generation precision ultrasonic coating into their manufacturing lines. 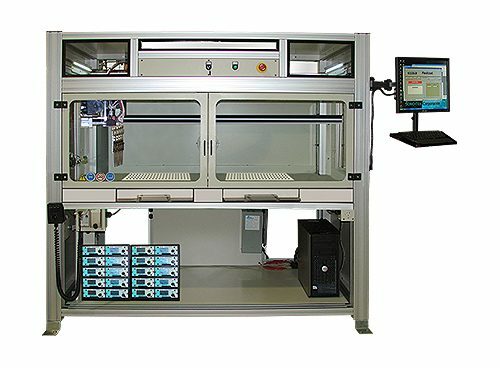 MedXT Standalone (left) is a fully integrated machine ready to operate as a complete solution and drop into your manufacturing line. Available in configurations for 10 or 20 nozzles. MedXT Retrofit (Center) is designed for manufacturers that already have a BCT / Syringe Barrel coating machine and would like to replace existing air spray nozzles with an easy to integrate ultrasonic nozzle package, including liquid delivery and controls. MedXT OEM (Right) is designed for BCT and Syringe Barrel machine builders who would like to use Sono-Tek ultrasonic nozzles on the equipment they are building. 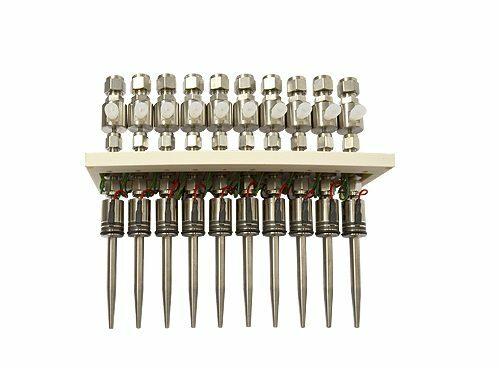 These high volume tube coating systems are typically configured with an array of 10 ultrasonic nozzles, and are designed to integrate with manufacturer’s lines. Custom configurations are available. 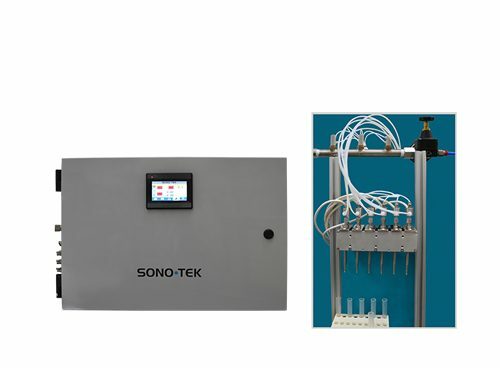 Having over 25 years of experience with syringe barrel and blood collection tube coating processes, Sono-Tek works closely with our customers to provide the best solution for their production needs. 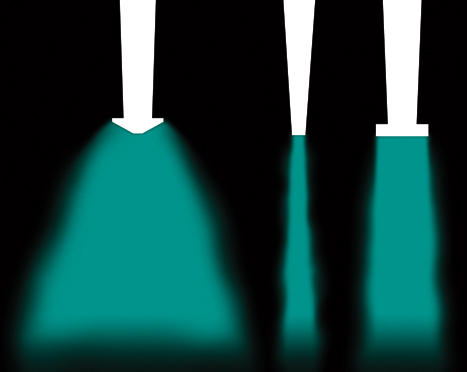 Unique ultrasonic atomization technology precisely controls droplet size. Uniform dispersion of any solids contained in liquid. Highly uniform coating on tube walls. Manipulation of ultrasonic atomizer accurately in and out of tube inner diameter. Fully automated control of electronics. Fast track to enter BCT market. 25+ years of BCT and syringe coating process experience. 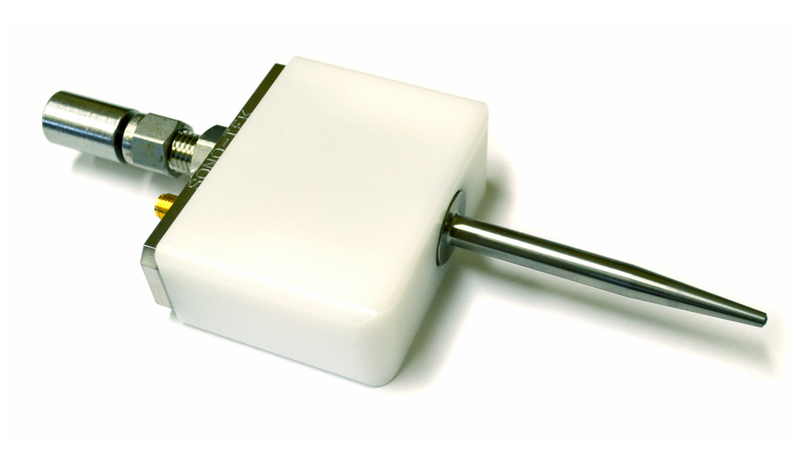 Self cleaning ultrasonic nozzle requires very little maintenance. Ability to control coating area to specific areas on tube walls.